The past few years have brought great news for the absent-minded. A slew of locator gadgets have sprung up to help us find our lost stuff, usually using our smartphones as a guide (although, for those of us who lose our phones more than anything else, there’s help out there for that, too). 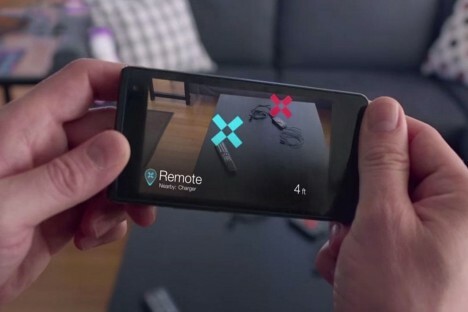 Pixie is another system that tells you where your keys are, but it’s got some impressive features that similar systems don’t. Its functionality is pretty simple: you stick a Pixie Point – a teardrop-shaped sensor – onto whatever it is you don’t want to lose. The Points all communicate with your phone via Bluetooth and with each other via a secure private network. 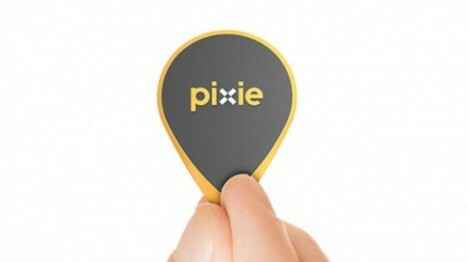 When you lose a Pixified object, you just hold up your phone and, like an interactive treasure map, it shows you where all of your Pixie-tagged things are. With a range of up to 150 feet, you can find most of your stuff as long as you didn’t leave it behind at the last place you visited. However, the app also keeps track of the last place your Pixie tagged things were, so you know where to return if your keys have suddenly vanished. One of the coolest features of Pixie is its ability to learn sets of objects that go together. If you have a specific group of items that you take to work each day like your laptop, briefcase, tablet, and notebook, you can set up a “kit” in the Pixie app. 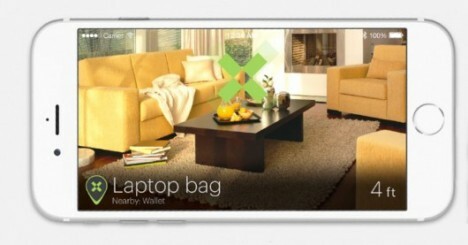 Then before you leave in the morning, just point your phone at your pile of stuff to make sure everything is present. Bummer for iPhone users: some of the Pixie’s features are only available on Android at the moment.